We all want our children to experience happiness, success, and the ability to grow into responsible and kind human beings. A progressive and enlightened education is vital for the next generation to become conscious and compassionate members of society. The Academy for Global Citizenship is a charter school located in the underserved southwest side of Chicago that seeks to foster systemic change starting with a learning model based on a 21st century “net positive” framework. Volunteering and giving back to the community are values that permeate the entire curriculum, and the concept of environmental sustainability naturally flows from these ideals. The school plans on building a new eleven acre campus that will contain seven acres of urban agriculture as well as buildings and projects intended to create more energy than they consume. The Academy for Global Citizenship intends for the campus to act as a “third teacher” for the students, becoming a prototype for environmentally-friendly education and leading by example. 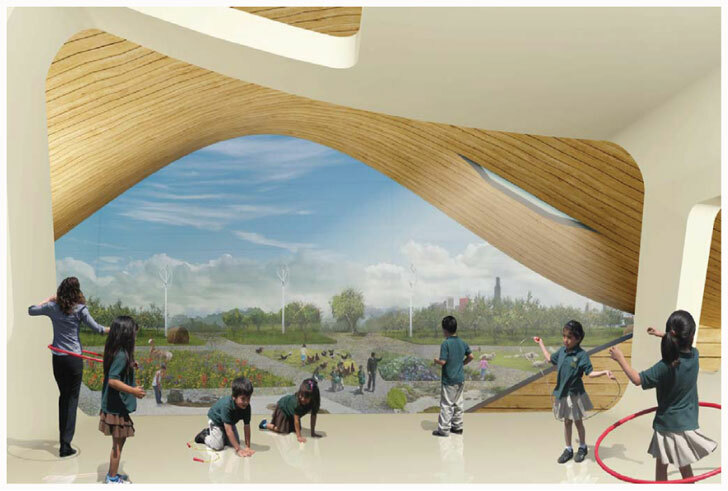 The new site will feature experimental gardens, orchards, waste water wetlands, grazing, outdoor classrooms, a greenhouse, farm stand, and barn. 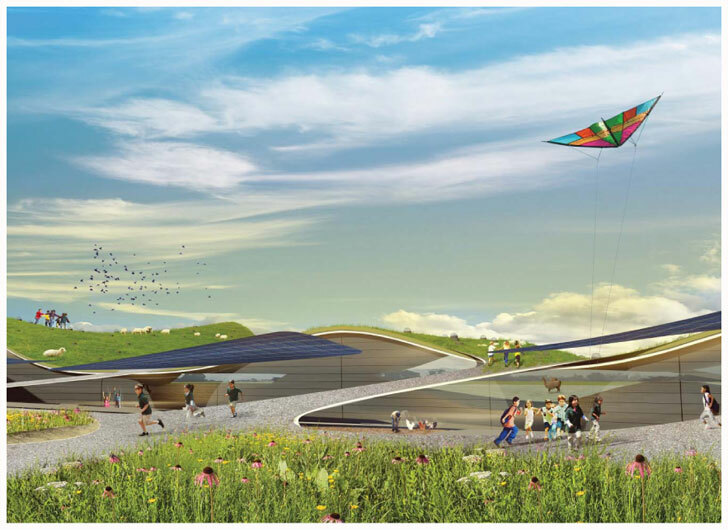 In addition, there will be flatland set aside for energy generation, a solar covered walkway, solar powered plug-in carports, and a renewable energy-generating playscape. The construction of the campus will adhere to standards set by the Living Building Challenge (LBC) which incorporates elements of urban agriculture, renewable energy, water collection and cleansing, biophilia, carbon footprint offsets, limits to growth, educational and inspirational services, and architecture suited to a manageable human scale. With the planet foremost in the mind of the teachers and staff, the building will reinforce the already green motivations of the school. The project is still accepting donations, and gifts can be made through the Academy’s website. We all want our children to experience happiness, success, and the ability to grow into responsible and kind human beings. A progressive and enlightened education is vital for the next generation to become conscious and compassionate members of society. The Academy for Global Citizenship is a charter school located in the underserved southwest side of Chicago that seeks to foster systemic change starting with a learning model based on a 21st century "net positive" framework. Volunteering and giving back to the community are values that permeate the entire curriculum, and the concept of environmental sustainability naturally flows from these ideals. The school plans on building a new eleven acre campus that will contain seven acres of urban agriculture as well as buildings and projects intended to create more energy than they consume.